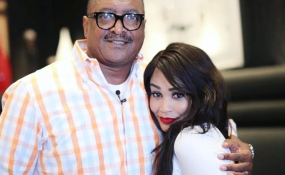 Ugandan socialite Zari Hassan is set to co-host an award ceremony with American singer Beyonce's father, Mathew Knowles. Zari posted a photo of her with Knowles at a dinner hosted by the award organisers. The two are set to host the African Leaders 4Change awards in Pretoria, South Africa on Wednesday night. Mr Knowles was Beyonce's producer when she started her illustrious music career. The socialite shared photos of the dinner writing how they were going through the order of events and in the series of photos she sneaked in one beside Knowles. Knowles had earlier on shared a video announcing his planned hosting of the awards.